-Steps progress goal right dial. Set to 8000 daily steps. Edit shader on layer 14 to change value. -Tap at 3 and 9 for previous/next colour. 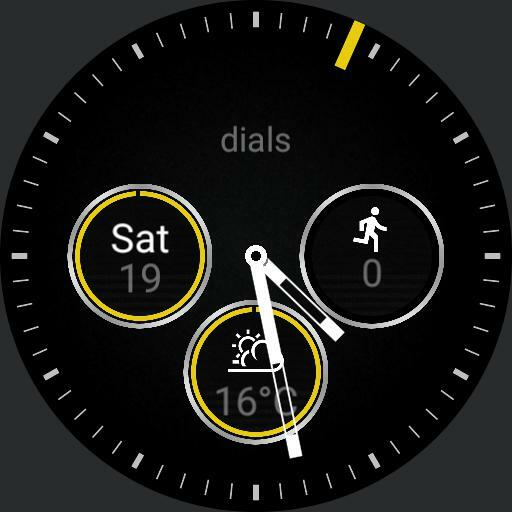 -Tap logo for on watch ucolour selector.